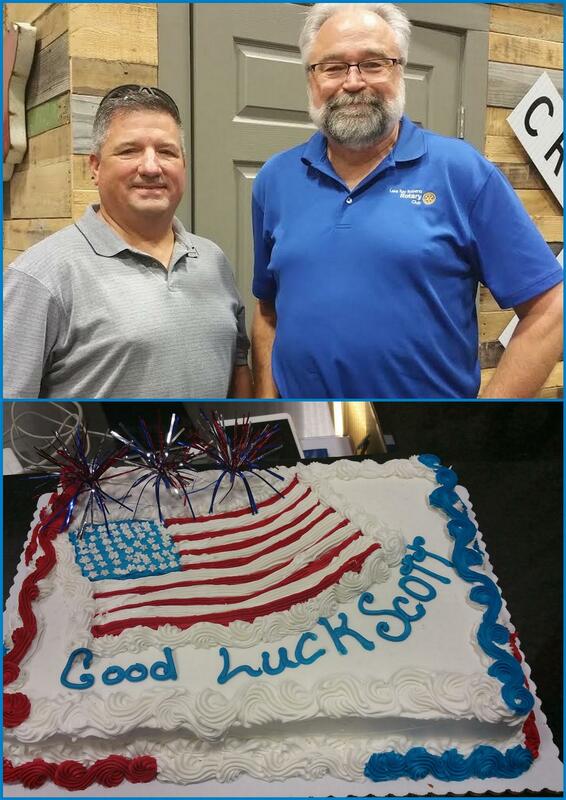 Our local Rotarian Scott Ingalls is moving to Prosper to work in the Planning Department at the City of Prosper. We are sad to see him leave as he has been very involved with our Rotary Club. Scott has assisted us with our flag program, speaker schedules, Bike Giveaway, Bearcat Bash, Dictionaries to 3rd Graders, Senior Scholarships and has always been willing to help in any way for our programs. Tuesday, May 9th was his last meeting with us. He will be missed but we wish him well at his new position. Thank you, Scott Ingalls for all of your contributions to the Lake Ray Roberts Rotary Club and our community!